A pilot project to help disabled islanders engage in sport and physical activity is already being hailed as a “fantastic initiative” and “wonderful opportunity” just one week in. 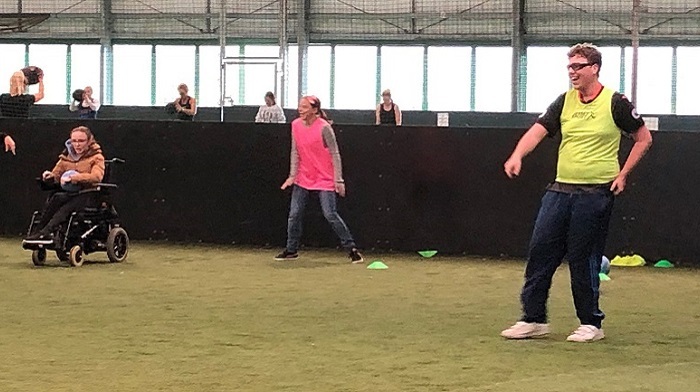 Jersey Sport is running a block of sessions on Wednesday mornings at Les Ormes, allowing participants from Beresford Street Kitchen and the Youth Service’s Inclusion Project to enjoy the fun of sport in a safe, friendly environment. The four-week pilot began last week (21st November) with fun team games and future sessions will feature sports and challenges such as capture the flag, tag games, dodgeball, powerball, tennis, netball and more. “Although some of the young people were a little anxious and apprehensive about attending, simply because it was something new, any worries soon disappeared as soon as the session began,” said Adelina d’Orleans, Assistant Youth Worker with the Inclusion Youth Project. “The Jersey Sport team were incredibly supportive, patient and understanding of the needs of the young people and were able to tailor the activities where necessary. We really are so grateful for this wonderful opportunity as it provides something fun and engaging to do during the day, which otherwise may just be spent at home. “I was really impressed with how much some participated as activities like this that do involve some contact can often be really difficult but they talked non-stop on the way back into town about what they enjoyed about the day and how much they were looking forward to next week. Staff from Beresford Street Kitchen (BSK), a social enterprise providing training and employment for people with learning disabilities and autism, have been invited to attend the sessions. The participants enjoy a free charter bus journey to their session at Les Ormes and then back to town afterwards. 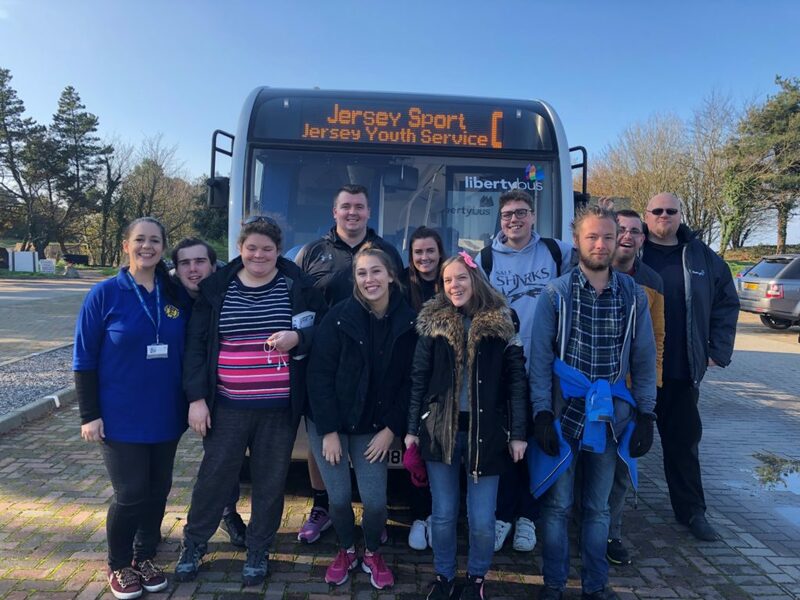 LibertyBus community manager Nikki Withe added: “We’re delighted to be partnering with Jersey Sport and Jersey Youth Service to provide the transport for this great project.